Most newly engaged couples’ interest in dance is sparked because they want to shine for the first dance, that one moment that represents the first steps that they will take together for the rest of their lives. Partnership dance becomes a metaphor for two moving in tandem – a lifelong partnership that starts with this very first dance as a newly joined couple. The new couple spends a great deal of time and energy preparing for that one moment, the flash point of creation for all to witness, as if the better they move together now, the better they will move together for the rest of their lives. We understand this at Social Graces Ballroom Dance Studio LLC, where our highly trained staff can prepare you both to feel comfortable and shine as you dance to your first song together. We will listen to your music and recommend a dance style that is appropriate, or if you haven’t yet come up with a song for your first dance, we can help you with that process as well. We will then work with you to make your first dance as sweet or flashy as you’d like, to match your vision of the perfect wedding day. Get started soon. Learning to dance is like learning a language – it takes time. While you may not be the Shakespeare of dance after your lessons, we will teach you to sweetly converse using the universal language of dance. Let us help you tell your story through the romantic art that is partnership dance. 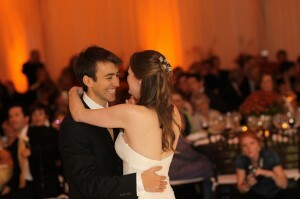 Because of the uniqueness of every couple, we recommend private lessons to learn your first dance. Call today and set up an appointment – our instructors are ready seven days a week from 10 am to 10 pm. The first dance might be the main reasons for taking dance lessons, but why stop there? You are going to want to dance and have fun at your reception as well. Imagine the looks you will get when you Cha Cha or Swing to your favorite songs, after demonstrating your heartfelt sweet sides in your first dance. Adding various dances to your repertoire is easy as you learn to dance, because all dances are made of the same basic elements. Just as words in a language are all made up of letters and it’s the arrangement that make the word, dances are also made up of actions, or “letters.” Change the arrangement and you change the dance. Most people who are learning to dance can easily learn multiple dances at once. (Yes, even those that feel like they can’t dance.) We also teach in a structured, systematic way at the start, that even the sports jock or engineer would appreciate. Soon enough you will learn the language and before you know it, you will be requesting songs at parties so you can show off your favorite moves. 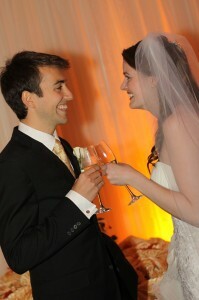 We can also teach a dance lesson to your guests after your wedding while you are getting pictures taken. Can you imagine everyone dancing a basic Rumba, Cha Cha, or Swing step during your favorite song that they just learned that day? We can even teach a dance lesson during your rehearsal dinner the night before. 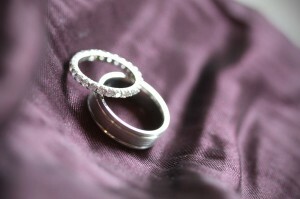 Not only is it fun and memorable, but your family and friends can also use that skill the day of the wedding. Social Graces can also DJ your event be it Weddings, parties or corporate functions. Dancing does not stop when you finish taking lessons. Dance will stay with you for the rest of your life. It is an investment in human capital. It is an investment in you. By taking dance lessons, your social portfolio will strengthen. Like good cars, dancers move more quickly and stop faster, at the same time providing their partners with a better ride. The only question is: how sporty or luxurious do you want to make that ride? The hobbyist doesn’t have a specific, single goal. Instead they enjoy the journey of learning, exercising, making friends as just a few of the many benefits that dance can provide. For those of you thinking about using the wonderful services at Rosemont Manor in Berryville, we will offer you a free private dance lesson that you can schedule around the time that you come visit Rosemont. When you can, just let us know that you heard about us through Rosemont.